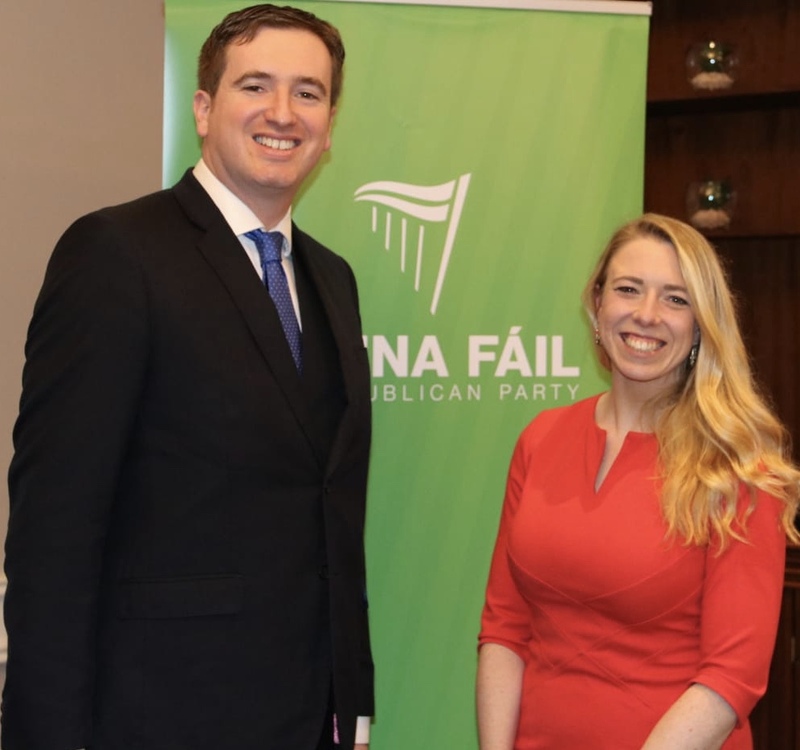 Congratulations to my longtime friend and colleague, Michael Clark who has been selected to run for Fianna Fáil in the Killiney-Shankill Local Electoral Area (LEA) along with Helena Kelly in May 2019. This is a strong ticket for the area and I wish them both well. Please vote #1 & #2 in order of your choice. 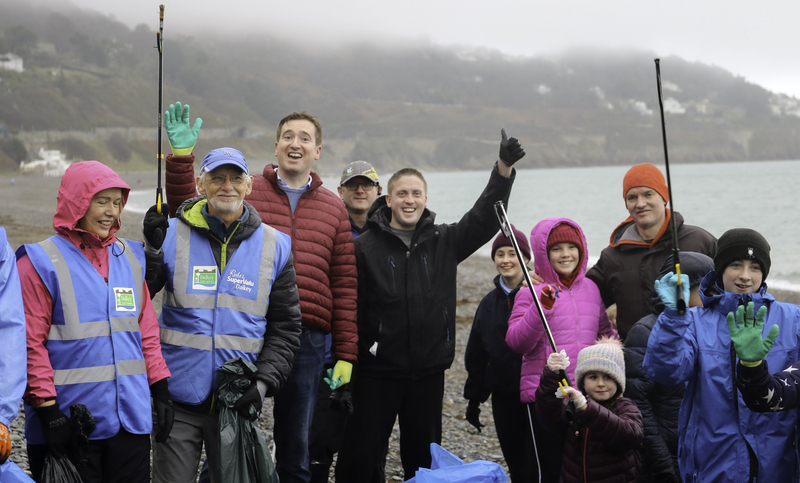 On the first day of 2019, Cormac participated in a New Year beach clean-up along Killiney Beach which was organised by Flossie Donnelly (11) while members of Dalkey Tidy Towns assisted along with many other volunteers. Justin Moylan & I attending the 32nd (2018) Christmas Day lunch in Stradbrook Rugby Club, organised by local woman, Margaret Brown. This year was a fantastic success with attendees thoroughly enjoying themselves on Christmas Day rather than spending it alone. Well done Margaret! 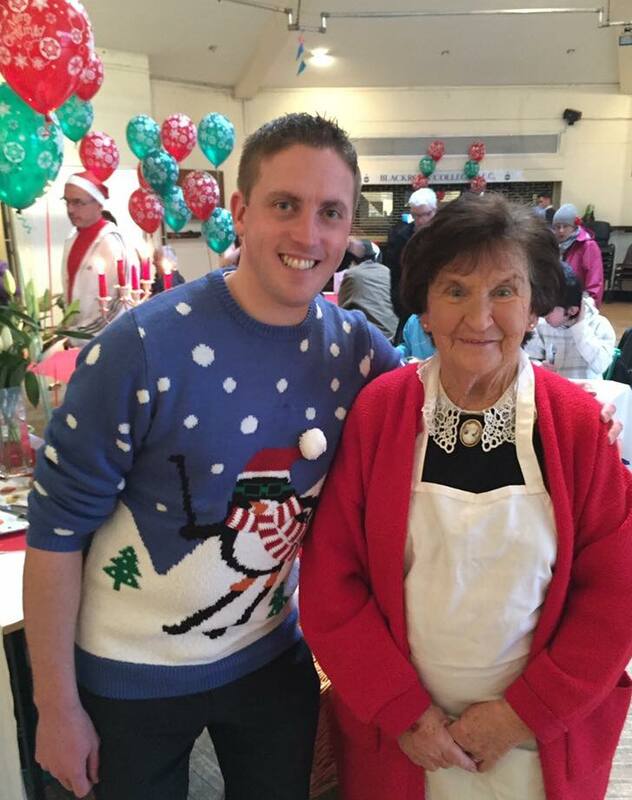 Well done to the many business in Ballybrack who organised a wonderful Christmas event. 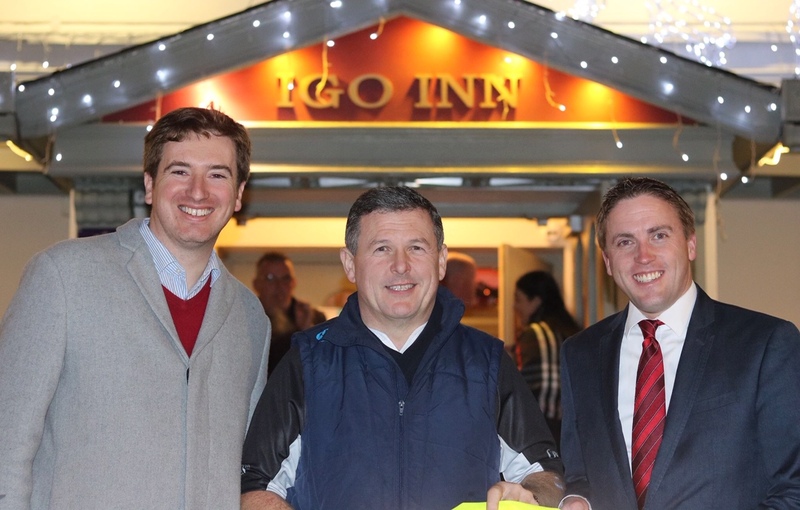 I joined our local election candidate Michael Clark and the owner of the Igo Inn pub. 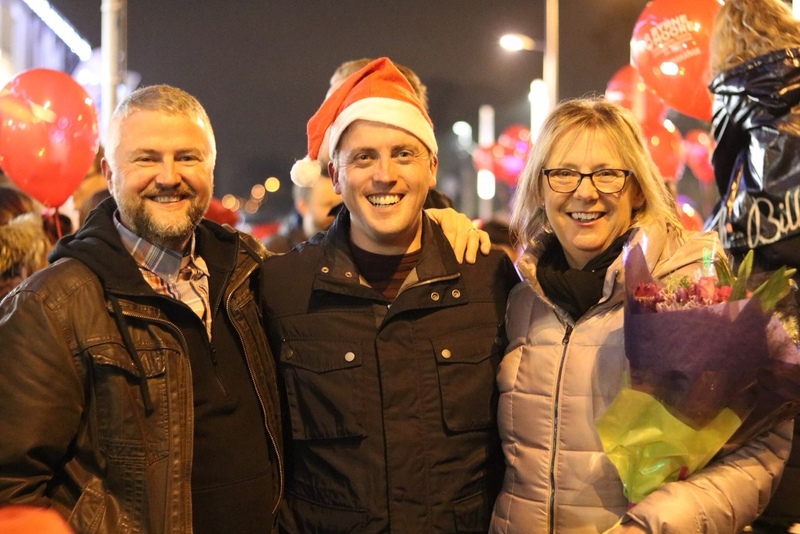 Tom McHugh at the festive celebrations. 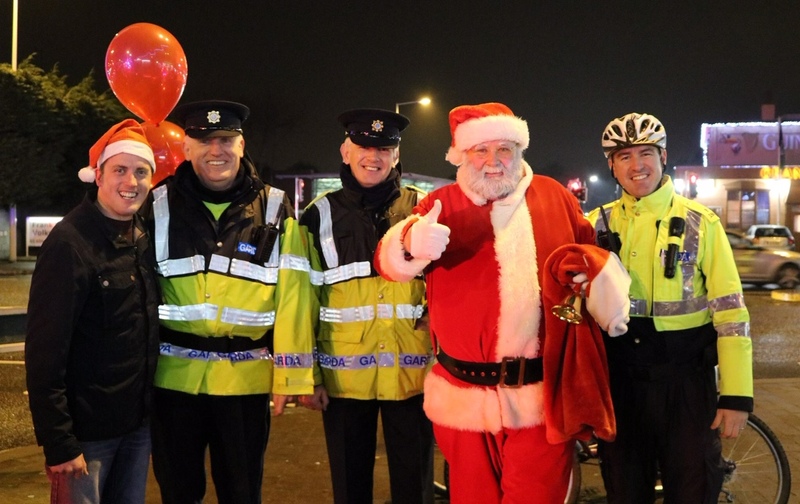 The Christmas spirit was all around Dalkey for Santa's arrival into the village. 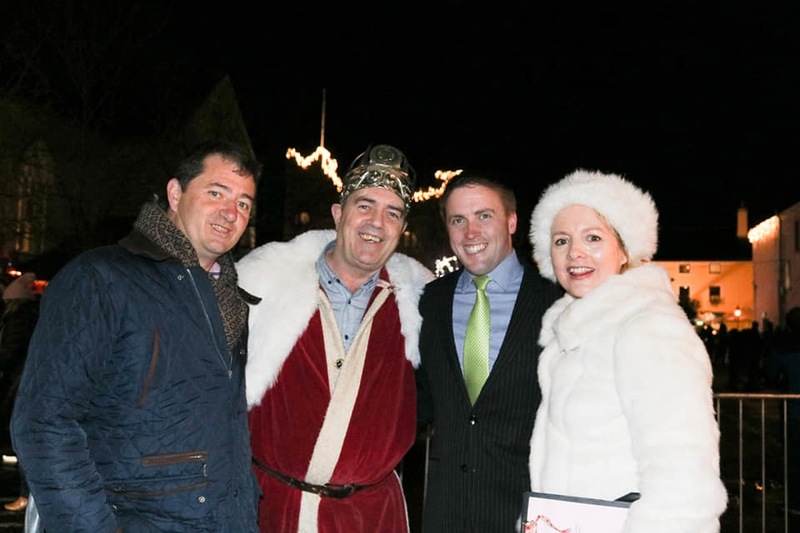 Justin & I were on hand to greet the "King" and Dalkey resident and MC for the night, Mary Kingston! 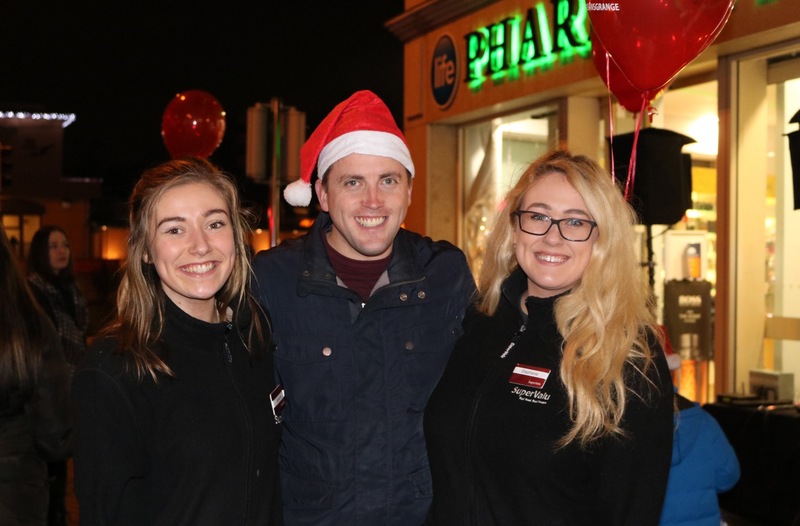 Cormac attended the annual turning on of the Christmas lights at the Deansgrange Crossroads which was organised by the businesses of the area. There was an enormous crowd who were thrilled when Santa arrived to meet the boys and girls, young and old. Well done to all of the organisers! 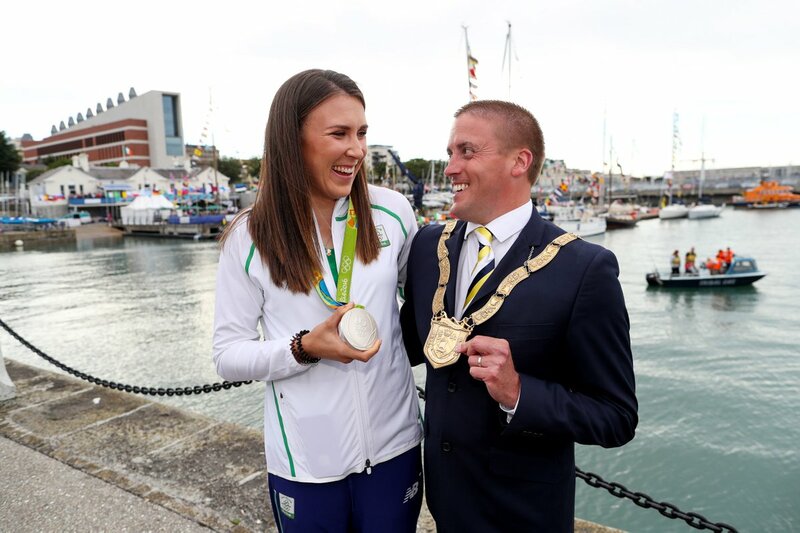 An Cathaoirleach, Cllr. 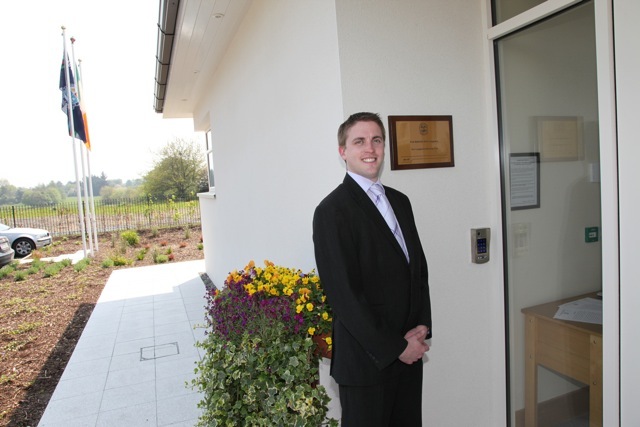 Cormac Devlin officially opens 15 new social housing houses and apartments "Cromlech Close" alongside Minister Coveney TD at the Golden Ball recently. 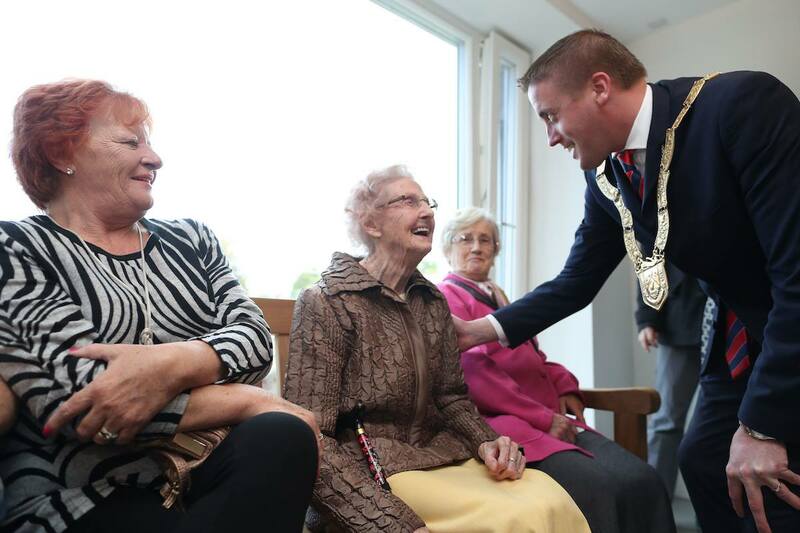 An Cathaoirleach, Councillor Cormac Devlin officially opening the recently refurbished 34 x 1 bedroom apartments for senior citizens in Rochestown House, Sallynoggin. Minister of State Catherine Byrne TD was also in attendance. 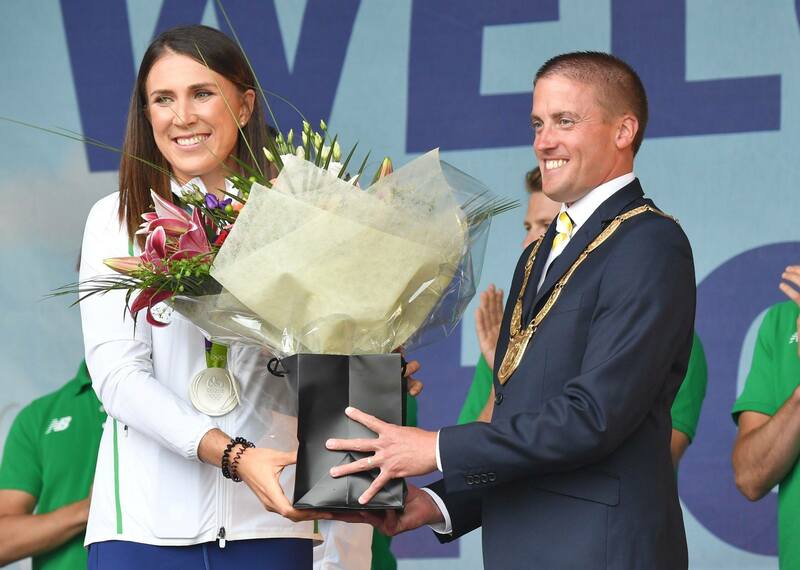 Giving our Olympic Silver Medalist, Annalise Murphy a hero's welcome back to Dún Laoghaire after her stunning performance in Rio 2016. 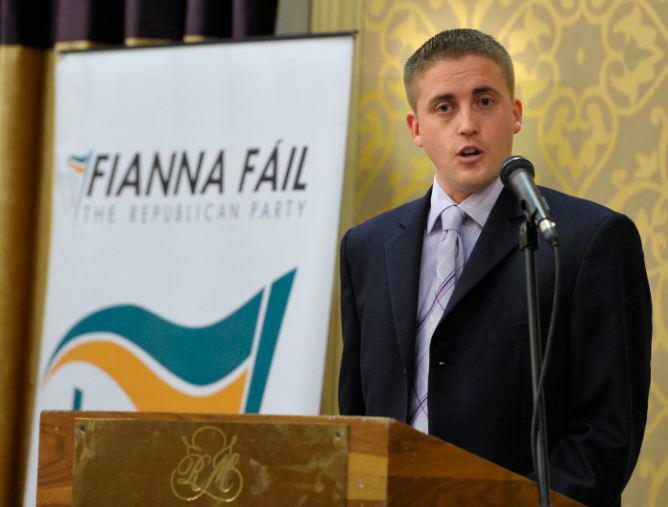 Cormac wins the selection convention and is nominated to run as the Fianna Fáil candidate in the Dún Laoghaire constituency to contest the General Election in 2016. 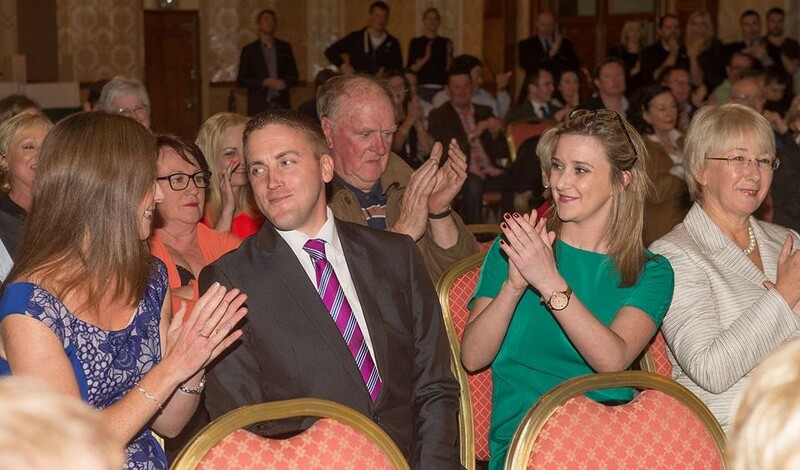 In his speech he paid tribute and thanked both his fellow Councillors, Kate Feeney & Mary Hanafin for the spirited campaign that they both ran. Mary was later added to the Party ticket. 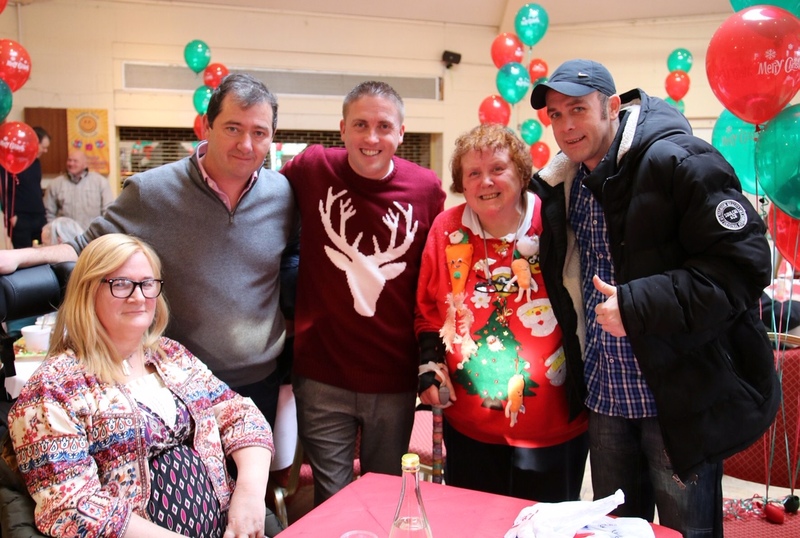 The Blackrock Rugby Club was packed once again this year for the annual Christmas Day Lunch. The event which began in 1986 by Margaret Brown has been catering for people who live alone or who are homeless at Christmas time. 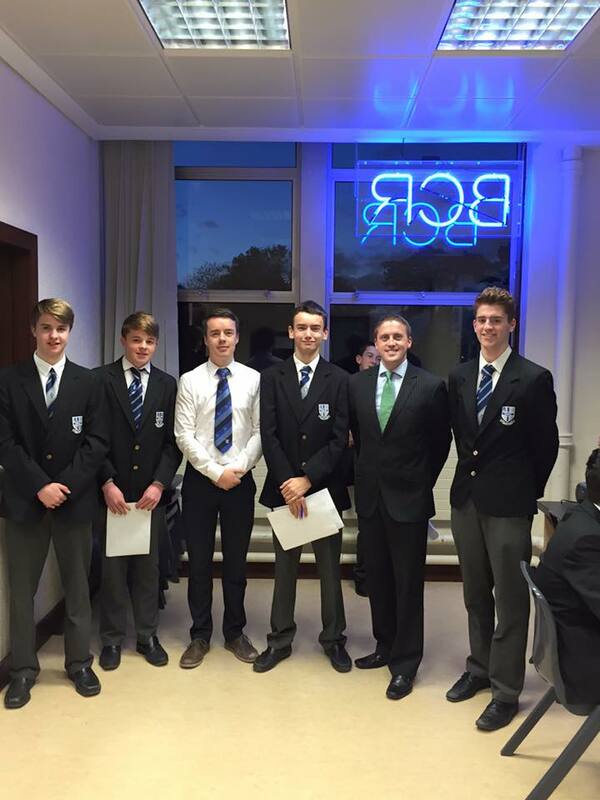 Well done to all the transition year students of Blackrock College for running such a professional radio station. I was delighted to take part in the interviews on BCR FM which raises money for Saint Vincent de Paul. Well done lads. 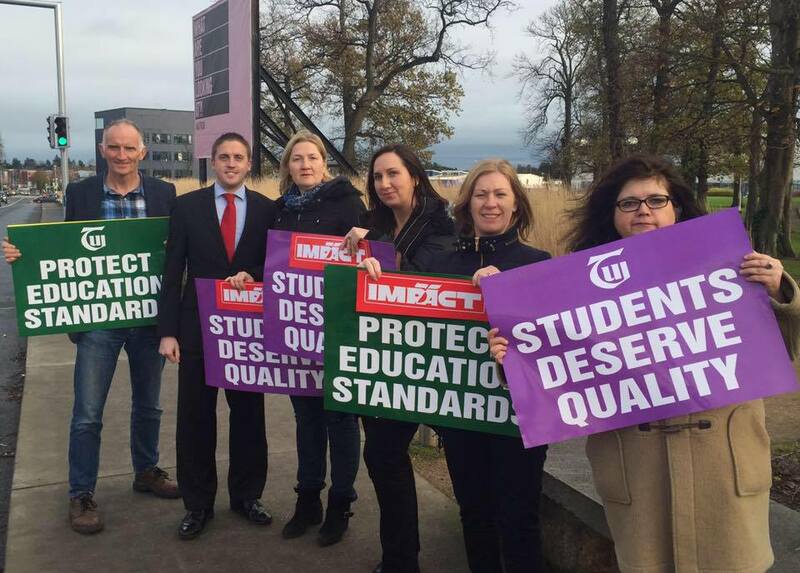 Cormac joined the teaching and administration staff on their lunch time work stoppage at the Institute of Art, Design and Technology (IADT) in solidarity with all other Institutes of Technology around the country. Yet another new business opens along the main street in Dún Laoghaire. This time it was in the long term vacant, Marks & Spencer's premises. If you haven't already, make sure you pop in and see their product range, you'll be very impressed. 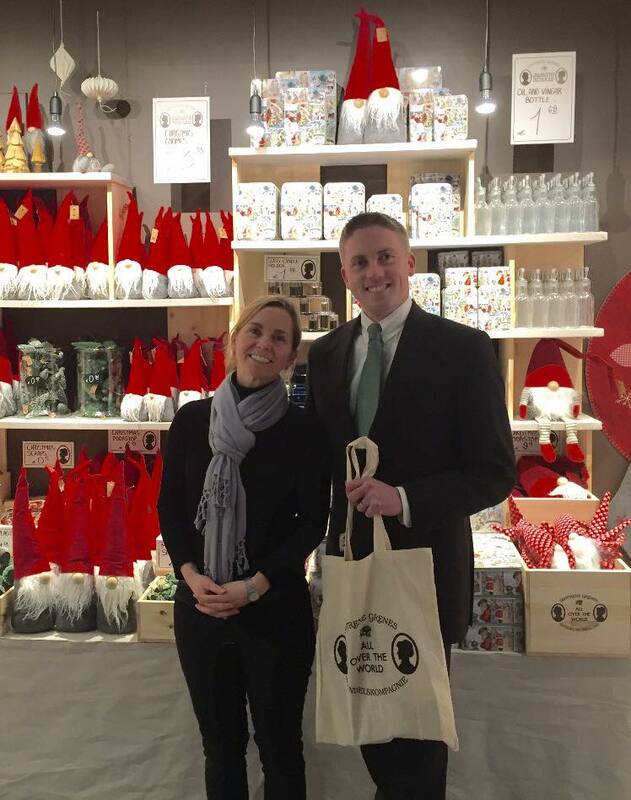 I wish Heather and all the staff in Sostrene Grene a prosperous time ahead. Presenting the players of St Joseph's Football Club with their awards at the annual presentation day in their club house in Sallynoggin. 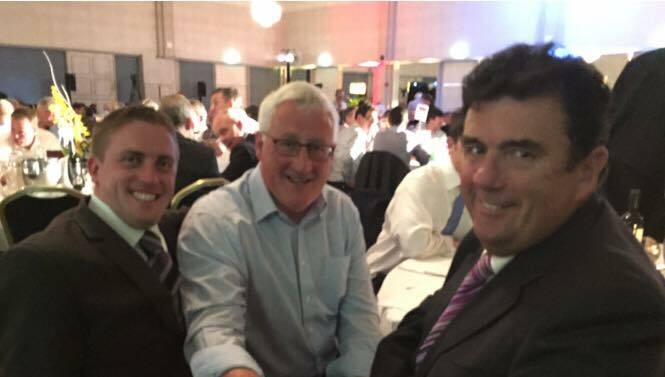 "Forward To The Goal"
I attended the Cuala annual fundraising lunch where I met GAA legend Pat Spillane and our very own encylopedia of sport, Des Cahill. 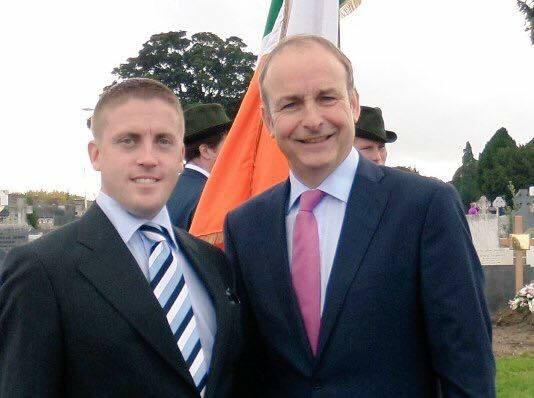 Uachtarán Fhianna Fáil, Micheál Martin pictured with Cllr. Cormac Devlin after her addressed the attendee's at this years Séan Lemass commemoration in Deansgrange Cemetery. 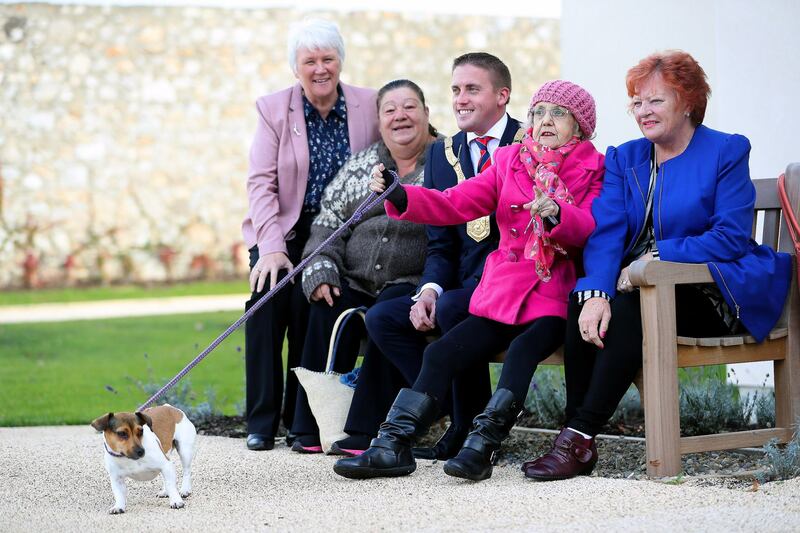 Dalkey Tidy Towns continued their winning streak when they scooped an award at the Dún Laoghaire Rathdown County Council Tidy Districts Awards recently. 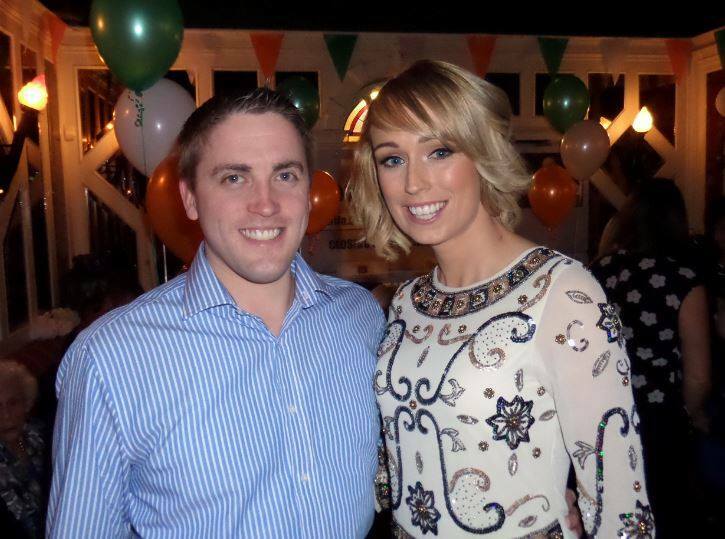 The lady of the moment, Shankill native, Stephanie Roche. I was delighted to attend her homecoming in Brady's of Shankill. What a welcome she received. Well deserved. I toured the grounds of the former Shanganagh Castle Open Prison grounds with some members of the Shankill GAA club who are keen to see additional sporting facilities included in any future development of these lands, as am I.
I was privileged to attend the launch of the Fianna Fáil Bill which would give the Moore Street area and in particular the buildings in which the rebels took their last stand would be protected from demolition and ruin. Here, Prionsias O'Rathaille is giving an interview to the assembled media. 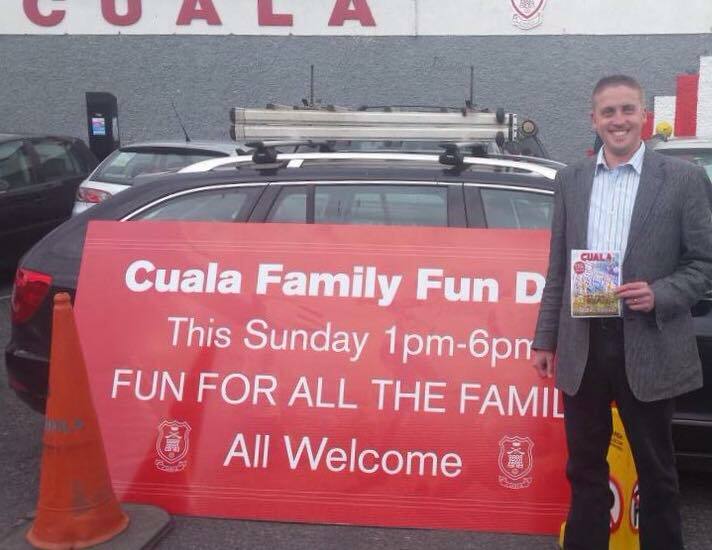 An event not to be missed, the Cuala annual Family Fun Day in Dalkey. Always great fun for the whole family and well worth supporting. 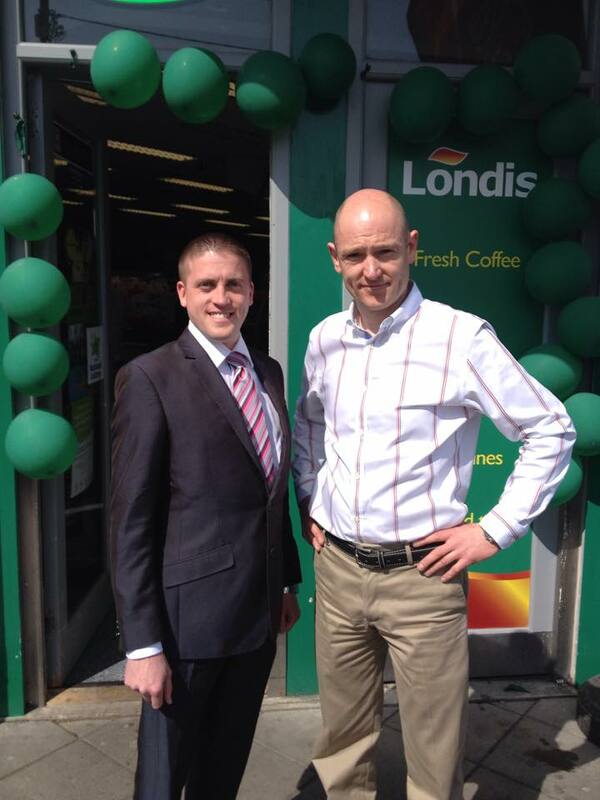 Great news for Cornelscourt village as Londis opened its doors. I wish Tony and all his staff well in their new shop. 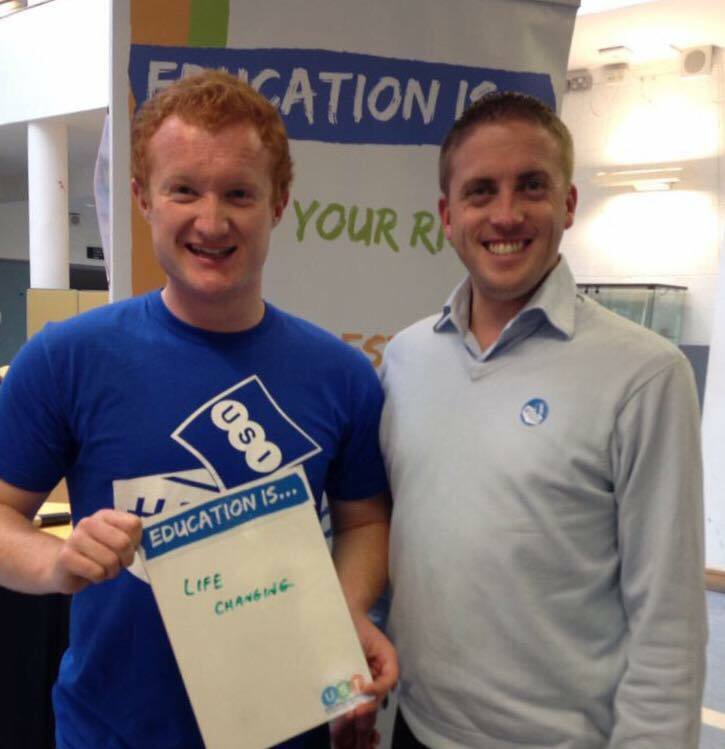 The Union of Students in Ireland (USI) held a "Rock the Vote) voter registration drive in the Institute of Art Design and Technology (IADT). Jack Leahy and I are pictured at their stand. 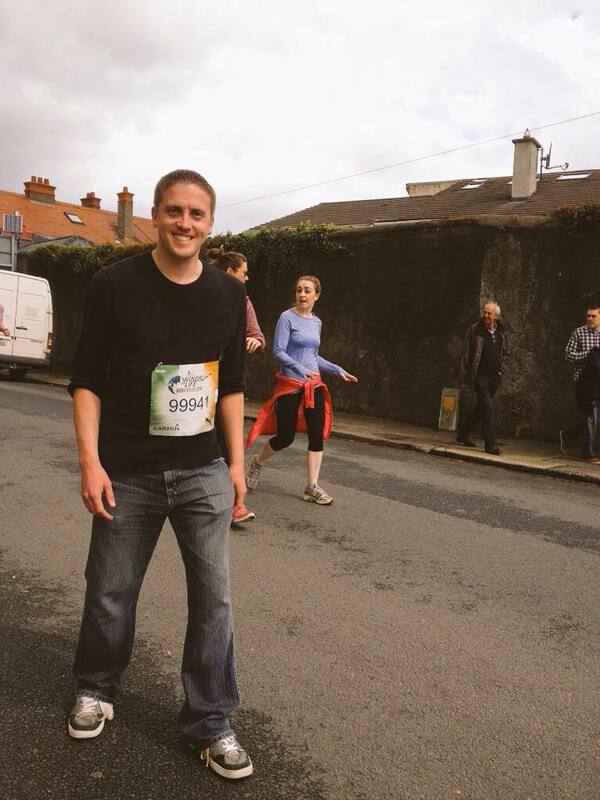 Even after my disastrous start, I managed to make it to the Vico Road at the Red Bull Wings for Life Charity Run. It began in Newtownsmith and was televised across the globe (unfortunately for me)! 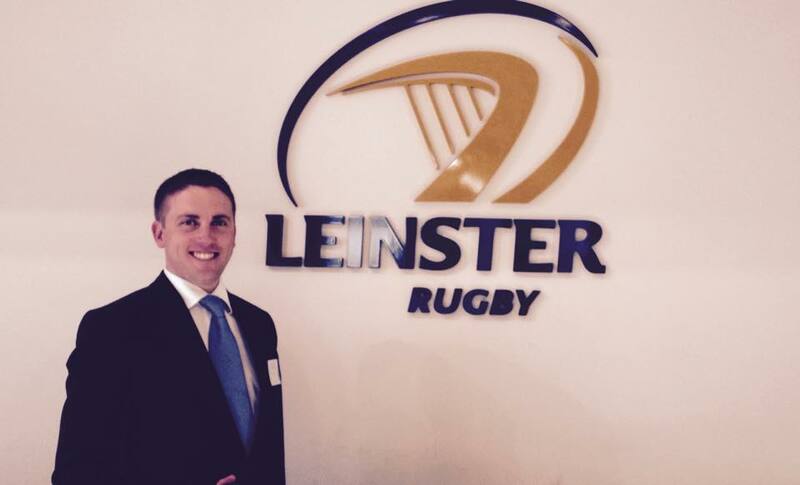 Dún Laoghaire Chamber kindly invited me to attend one of their many Business Networking evenings which was held in the unique and fascinating surrounds of the Leinster Rugby Head Quarters. 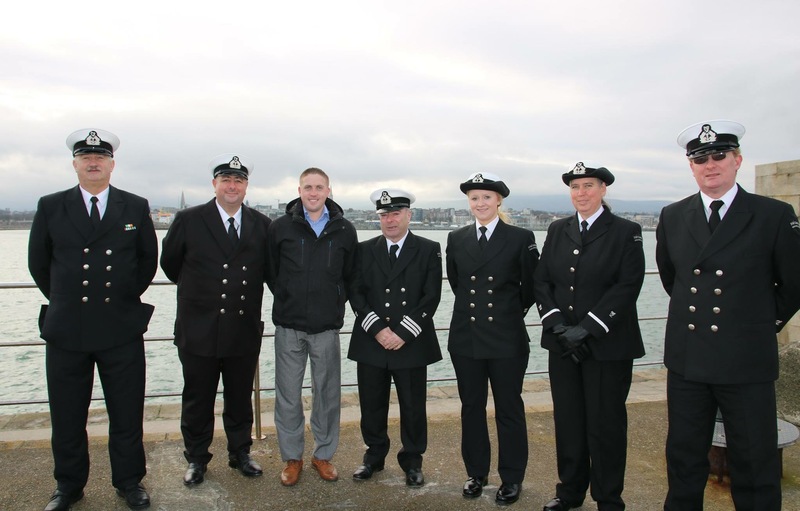 I attended the blessing of Dalkey Rowing Club's newest boat. The event took place in the Tramyard in Dalkey. It was a wonderful day. 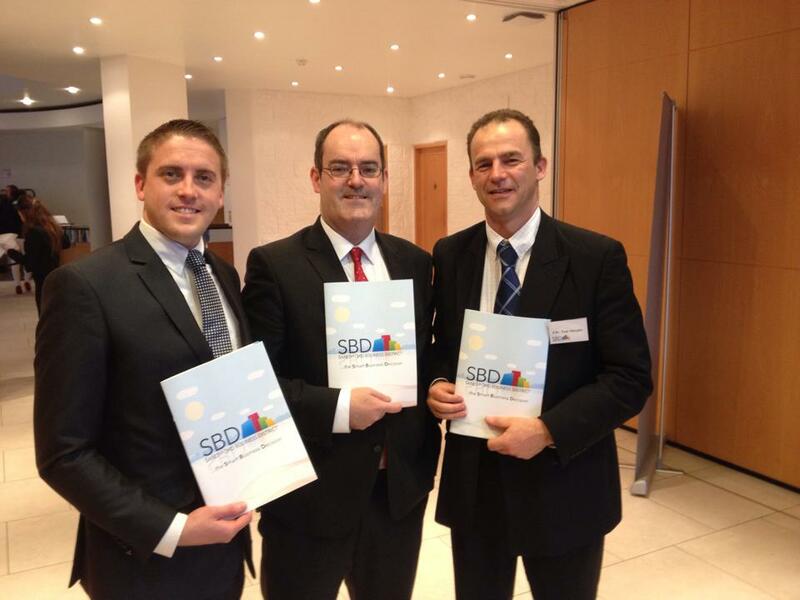 The Sandyford Business District Association recently launched their plans for the commercial life of the various business hubs in the Sandyford area. 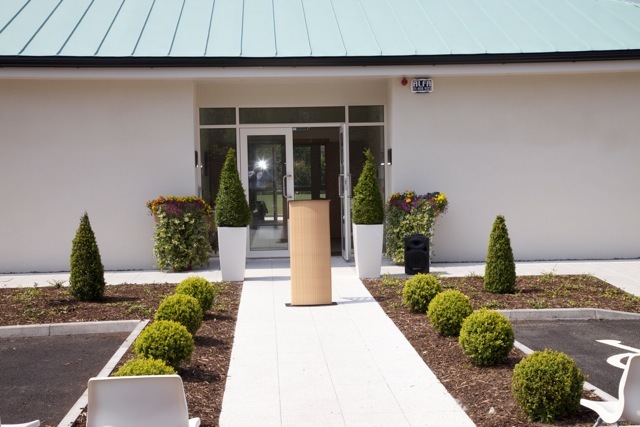 This area includes; South County, Stillorgan, Sandyford and Central Park Business Parks. 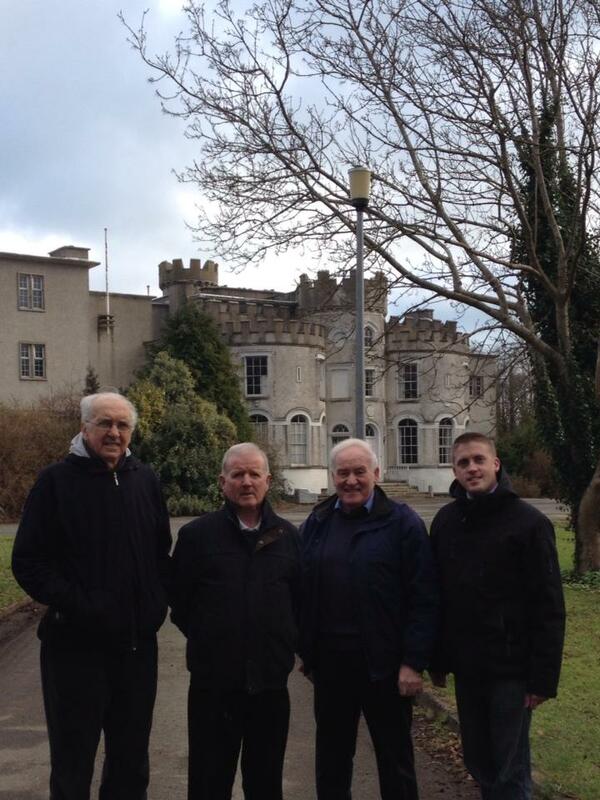 Councillors, Tommy Murphy, Gerry Horkan and I were pleased to attend. 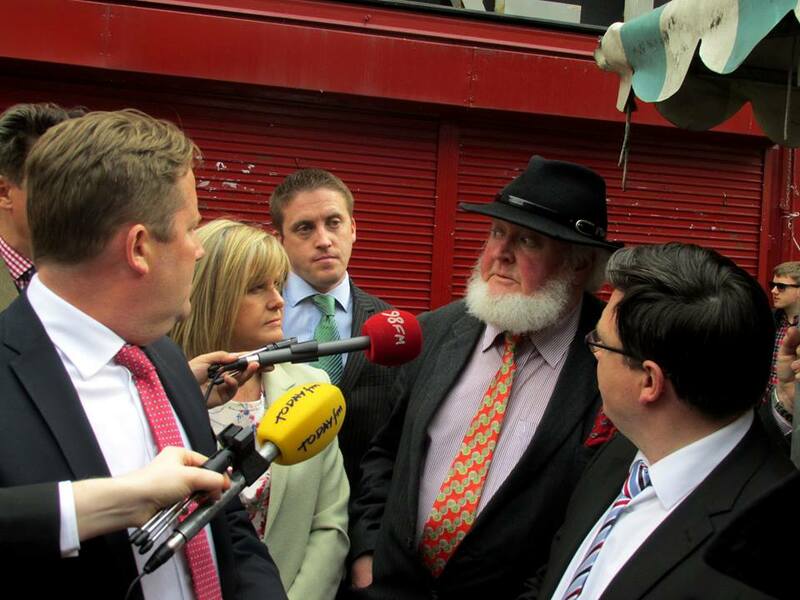 It's exciting times in Sandyford and I wish them every success. Pictured attending the Annual Seán Lemass Commemoration in Deansgrange Cemetery where a wreath was laid by Cllr Devlin & Seán Haughey (Grandson of Lemass) on behalf of the Lemass Family and members of the Fianna Fáil organisation. 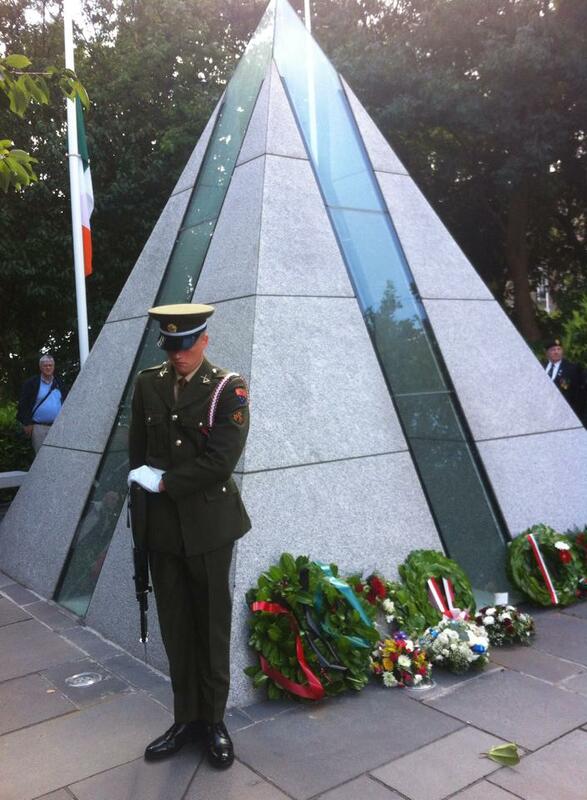 Lemass was born in Norwood, Ballybrack on 15th July 1899, serving as Taoiseach and Leader of Fianna Fáil from 1959 - 1966 and he died on 11th May 1971. 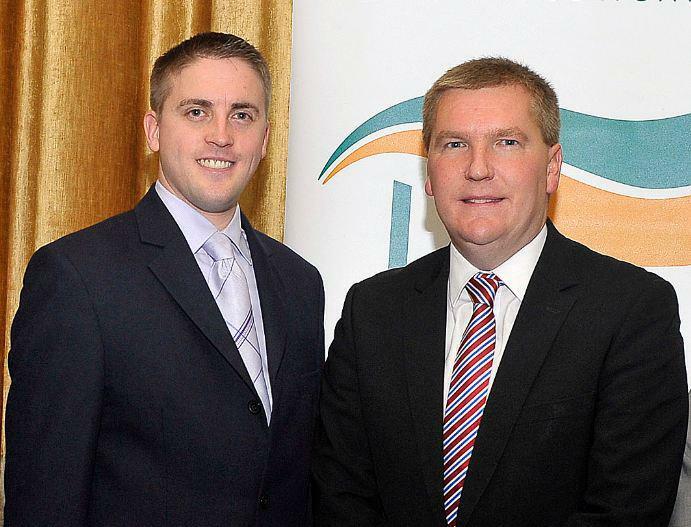 Cllr Devlin attending and speaking at the annual Dún Laoghaire Fianna Fáil Business Breakfast in the Royal Marine Hotel alongside Michael McGrath TD, Frontbench Spokesman on Finance. The event was designed to listen to the views of business owners and residents on issues they face in the run up to the national Budget and the Council's own Budget. Cllr Devlin attending and presenting awards at the Cabinteely Football Club Mini World Cup in Kilbogget Park. Over 960 children took part - well done to all involved. 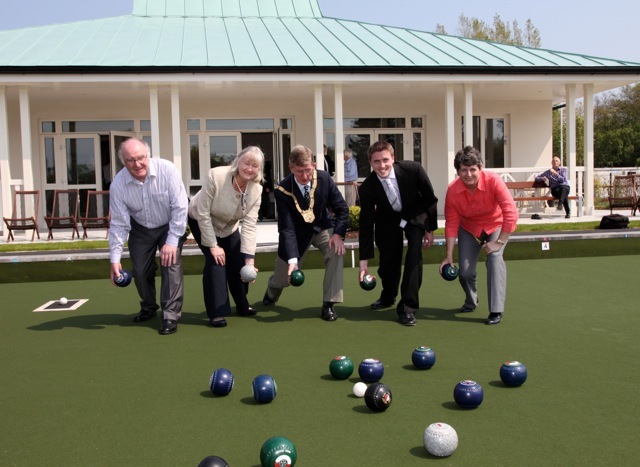 Cormac attending the official opening of the Dún Laoghaire Bowling Club after its move from Moran Park, Dún Loaghaire to the former Golf Club Lands. 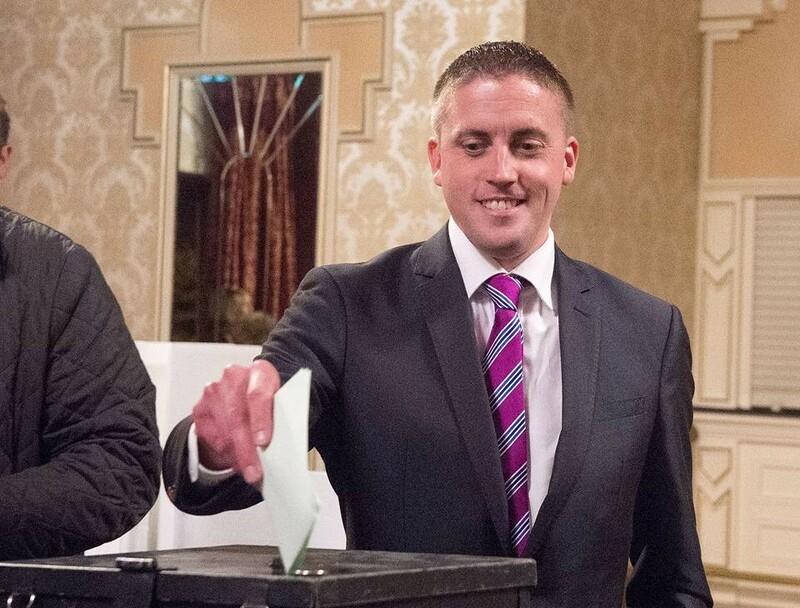 Cllr. 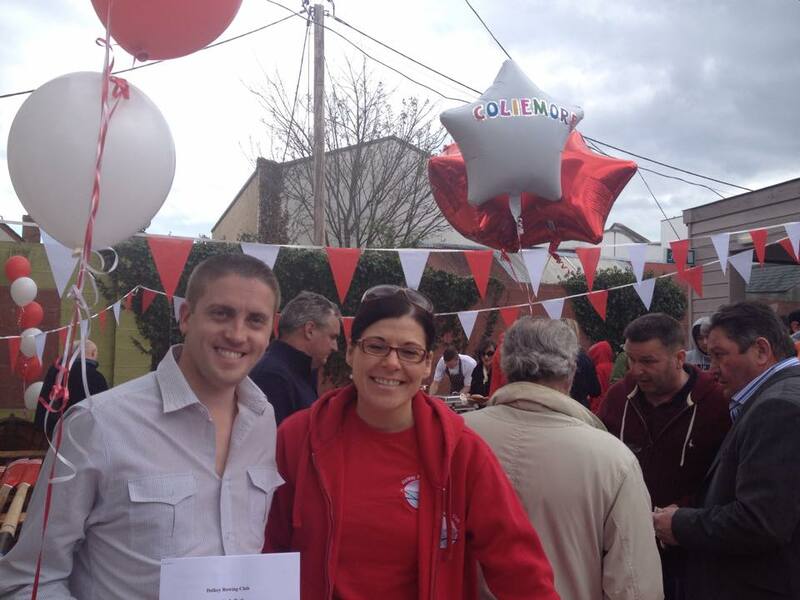 Devlin attends and supports the St. Paul's (Glenageary) Summer Fair. The event was a great success with large crowds and plenty of various activities. Cormac presented awards at the annual Zimbabwe Independence celebrations. 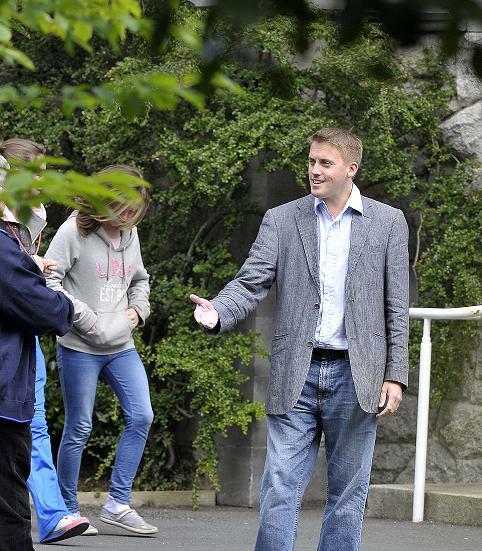 Councillor Devlin returns to his old primary school, Harold Boys' National School, Dalkey to attend their recent Open Day. Here his is pictured with school principal Teresa Buckley. World Refugee Day - Cllr. 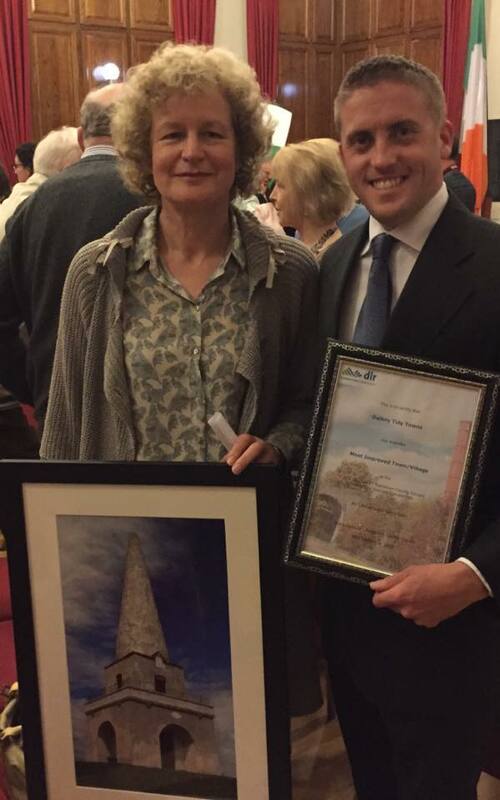 Cormac Devlin attended the festivities held in the Dún Laoghaire Institute of Art, Design & Technology (DLIADT) pictured here with Mary King of the Dún Laoghaire Refugee Project (DRP).